If you’re looking for a Sunday Brunch Recipe look no further! 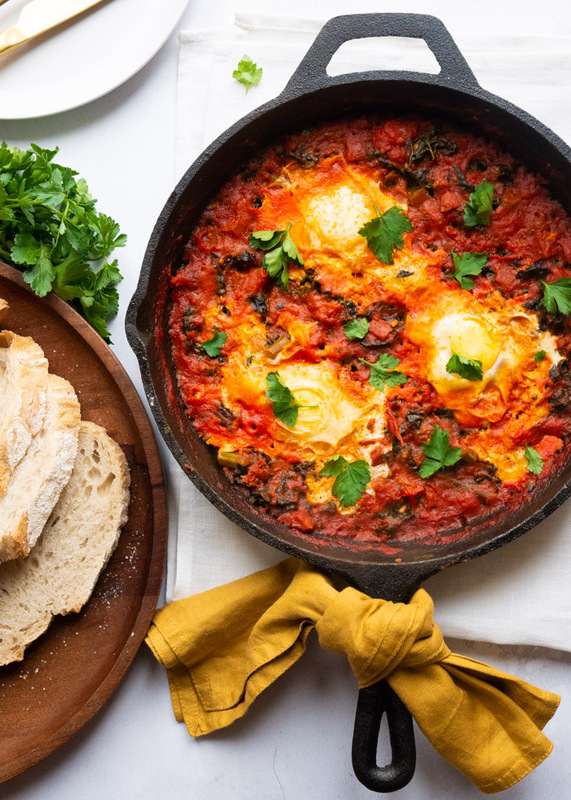 This easy Shakshuka Recipe is filled with chorizo and kale, then spiked with a little garlic, fennel and chilli, for a hearty, flavoursome brunch recipe that is ready in just 35 minutes. While there is a lot of controversy over where Shakshuka originates from, it is often associated with the Middle East; Israel in particular. The dish is traditionally cooked with garlic, onion, peppers, tomatoes and spices such as paprika, chilli and cumin however it is wonderfully versatile and you can jazz it up in any way that suits! 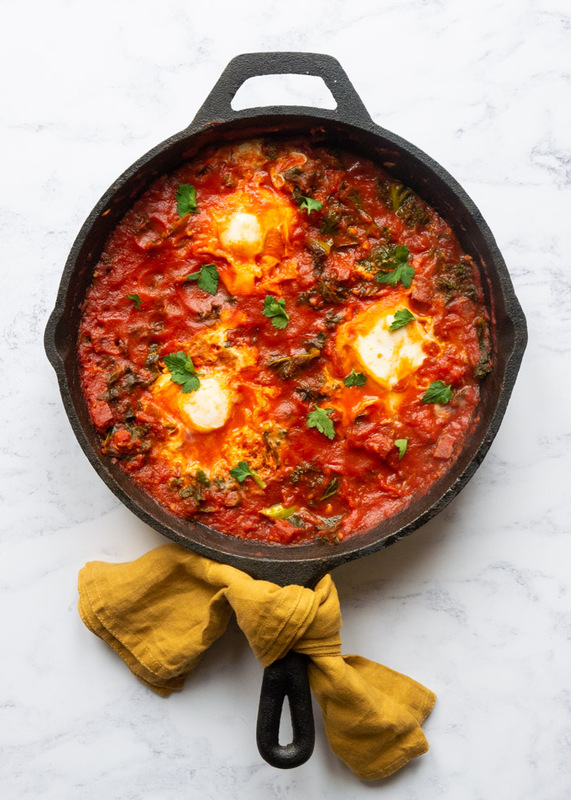 For this Shakshuka recipe the addition of chorizo and kale makes it a hearty and filling meal that, while great as a brunch dish, also works perfectly at lunch time or dinner. Imagine yourselves sitting around a pot of this, scooping thick, spicy tomato sauce and egg onto crusty pieces of bread. Doesn’t sound too bad does it? Can shakshuka be made ahead of time? Yes and no. You can make the tomato sauce ahead of time easily and store it until you are ready to use it. Then reheat the sauce before continuing with the recipe and cooking the eggs. If you were to make the whole dish ahead of time you would end up with rubbery, over-cooked eggs. Once cooked allow the shakshuka sauce to cool at room temperature for no more than two hours. Add it into a Tupperware container and leave it in the fridge for no more than 3-4 days. The sauce is also suitable for freezing. Cool the shakshuka sauce by leaving it at room temperature for no more than two hours. Add to a freezer safe container and pop into the freezer, where it can live for up to 3 months. To defrost remove the shakshuka from the freezer to the fridge and leave to defrost. This can take up to 24 hours. Alternatively use a microwave on the defrost setting to defrost the sauce. The sauce is ideal for reheating, but reheating the eggs would mean solid yolks and over-cooked whites which is less than pleasant. Add the sauce to a lidded frying pan and turn onto a medium heat. Bring the sauce to a boil then simmer for 5 minutes. If the sauce looks quite dry add a splash of water to loosen it, however, remember that you want the sauce to be quite thick when you are ready to cook the eggs, so when you make divots in it the shape holds. SO. MUCH. FLAVOUR. The chorizo and fennel go together so well, then mixed in with the spicy, garlicky tomato sauce. It’s perfect. It’s so simple to throw together. Prep ingredients. Make sauce. Add eggs. STUFF IN FACE. You could make a batch of the tomato sauce ahead of time, then warm it up and cook the eggs when you’re ready to serve. Making fancy brunches even easier! Let me know what you think of this recipe by leaving a rating and a comment! 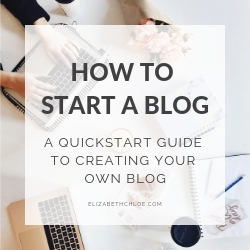 You can also follow over on Facebook, Pinterest, Instagram and Twitter. Come and say hi and hashtag any recipe snaps with #elizabethchloerecipes. For a weekly update of new recipes and blog posts, you can subscribe to the mailing list here! 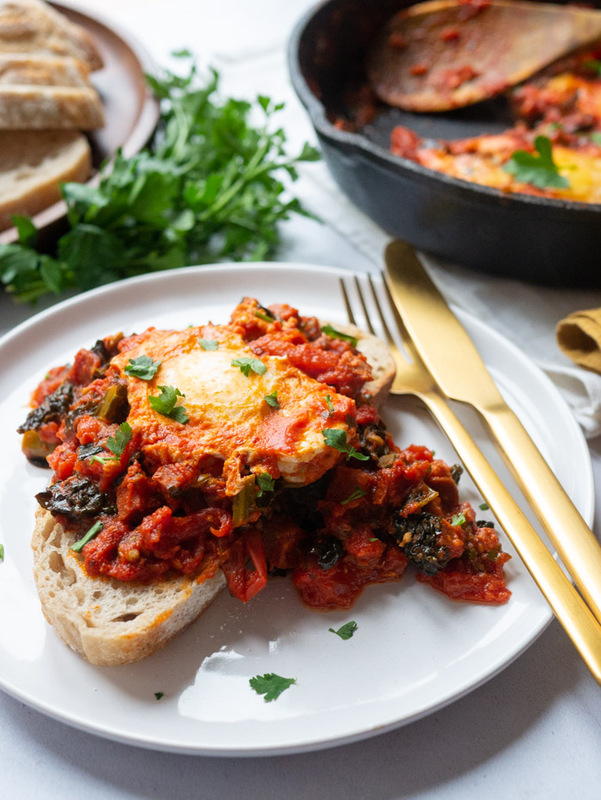 This easy Shakshuka recipe is the perfect Sunday Brunch Idea. Full of chorizo, garlic, fennel seed, chilli and kale – and also full of flavour! Heat a lidded frying pan to a medium heat (see notes). Add the chorizo and fry for 3-5 minutes until crispy. Add the garlic, fennel seed and chilli flakes and saute for one minute, then add the kale and tinned plum tomatoes. Use a fork or wooden spoon to squash the tomatoes and break them apart. Leave the sauce to simmer for 10 minutes until it has thickened up. Taste the sauce and add salt, pepper and sugar as required. Turn the heat onto the lowest setting. Using a wooden spoon make 4 holes in the sauce. Carefully crack each egg into a hole. Put the lid on top the pan and leave to cook for 8-10 minutes, checking regularly towards the end to make sure the eggs do not overcook. The eggs are cooked when the whites are opaque and have firmed up. Serve the shakshuka alongside slices of bread to dunk in. Enjoy! If you don’t have a lidded frying pan, use a heat-safe plate that is large enough to cover your pan instead. Update Information: FAQ added and new affiliate links. My oh my the flavors in this dish really come together and take it to the next level! Love that you have added kale to this dish! That is one superfood that needs to be added to more dishes. The chorizo is the star in this recipe 🙌 Thanks for your comment Aleta! Shakshuka has been high on my list of foods to try for a while and for some reason I still haven’t made it. I like the idea of adding chorizo, but I am less a fan of fennel seeds. I guess I could just skip those, as everything else sounds lovely to me. 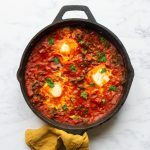 I keep seeing shakshuka recipes and this one looks the best! I want to try this soon, such a flavorful dish! Thanks, Denise! Let me know how it goes! Now THIS is a breakfast! Holy moly, this looks incredible! I’ve been meaning to attempt shakshuka, so I’m totally going to give your recipe a whirl! Love the addition of chorizo! Thanks so much Krista, I hope you enjoy! Please, load me up a plate of this right now! I have friends visiting in town this weekend and I always make a big breakfast for us as tradition. I’m going to try this because everyone is a fan of chorizo! Yes, chorizo is the best! I hope everyone enjoys! Now this is what I call breakfast!! Just what we need to start the day. We prefer savory to sweet for our first meal of the day, especially if there’s some spice to it. I really like the addition of chorizo to the eggs and sauce. Thanks, Marisa! I’m the same, much prefer my savoury breakfasts to sweet, and eggs are always a winner. 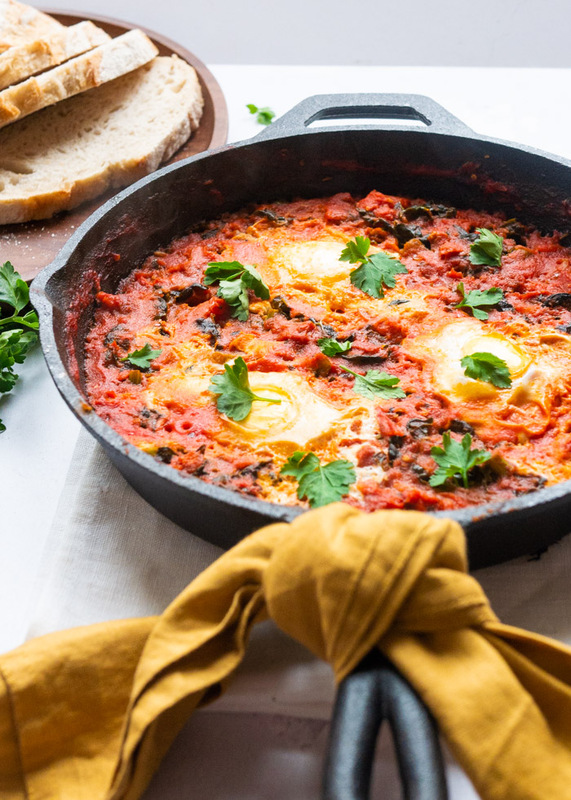 Chorizo and kale sound good to me in this shakshuka recipe. High on my list of recipes to make! Ooh I have been on a real chorizo kick lately, this sounds like the perfect way to use up the rest of what I have in the fridge. And who would say no to this level of scrumptious for brunch!! Love the addition of the fennel as well, such great falavor. Yes, definitely a good use of leftover chorizo! And the fennel does complement it so well, I hope you enjoy! Hi & welcome to Elizabeth Chloé! My name is Lizzie. I'm a Intensive Care Nurse and soon to be student Nutritionist. 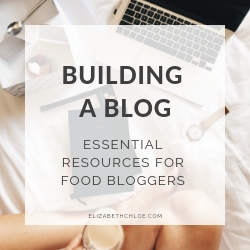 Here at Elizabeth Chloe you will find healthy recipes that aim to fill you up and taste great!